By default, the background color is set to white. However, you can change the default background color during the album setup process. 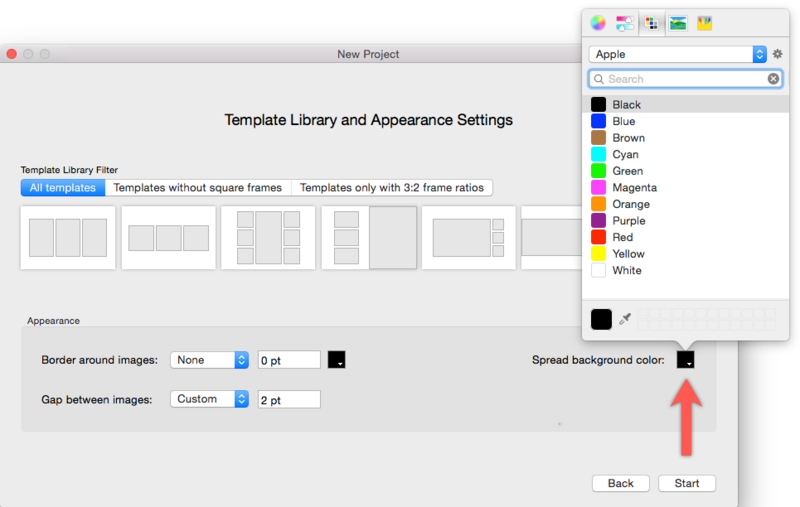 When starting a new project, in the second window, set the Spread background color by clicking on the color picker and selecting a color. 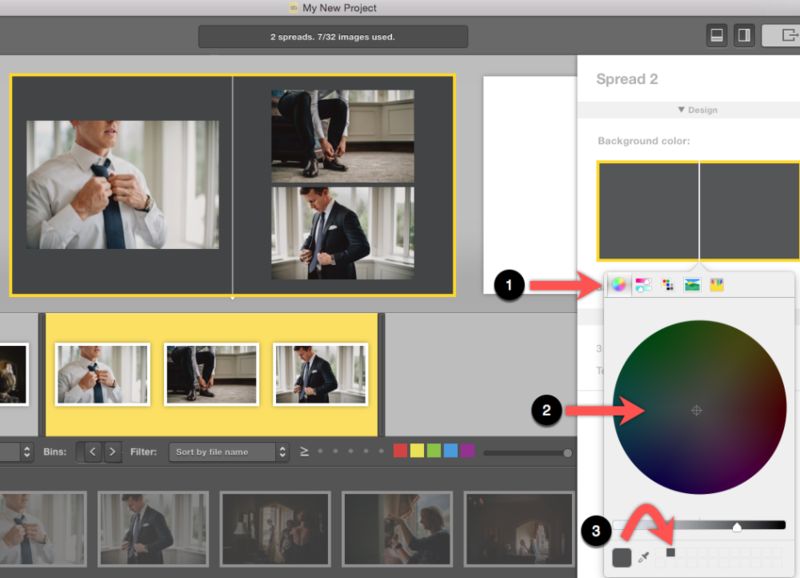 After setting the default background color, you may still change the background color for individual spreads during the album building process. Select the background you wish to change by clicking on the white empty area of the spread or on the Spread Bar (top gray part of the spread). 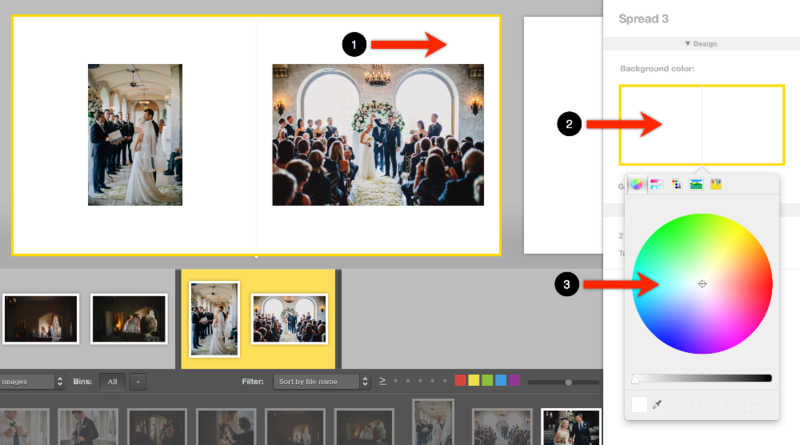 Hover over the spread icon on right (either over a single page or a full spread; your selection will be indicated by a light grey highlight). Click on the spread icon and choose the background color. Select the color wheel tab. Choose a color from the color wheel. Click and drag the color swatch into an empty swatch box on the right.